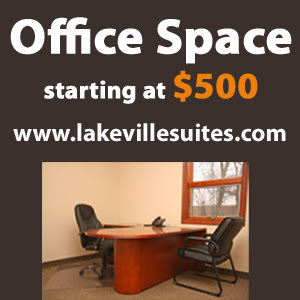 Lakeville Executive Suites provides much more than just office space. Services and staff manage the office while business owners or operators run their business. The benefits result in cost savings of up to 60% over a traditional leases and operating costs. For a new business starting out those savings can make you instead of break you! People often think that a traditional, long-term lease is the most cost-effective option when looking for office space. The reality is that leases are often restrictive and expensive. Most lease terms are a minimum of three years, and if you want to change the terms and add or decrease space you are looking at costly increases. A three-year lease has you chained to a space. With the flexibility of today's work environment and the constant changing and growing in the business world who wants to be tied to one space for so long. Many companies find they often grow out of spaces very quickly and are stuck in a space that no longer fits their needs. Leases define the space, but that’s only the beginning to running a successful business. You must make a number of decisions and significant investments in furniture, office equipment with lengthy leases and personal guarantees, staffing, and training to create an office. Not to mention the additional monthly costs such as internet service, telephone service, building fees and more. Imagine your businesses unable to operate at peak efficiency because you choose an outdated phone and computer systems. No one wants to spend the time or money researching the options and upgrade, you should be worrying about making your business a success. Lakeville Executive Suites has done the research for you and provide it all in our services. Many people believe that leasing is the right way to get premier business locations. There are many disadvantages to leasing though. Leasing space in a prime business location can mean paying astronomical rental prices. To secure a lease in a desirable area, you’ll need to put down a large deposit or personal guarantee. This limits the working capital a business has to invest into the business as well as put you personally at risk. In comparison, Lakeville Executive Suites give you many advantages that aren't their in traditionally leased spaces. You can save up to 60% of the cost of setting up and operating your own office. You can add or subtract office space and determine the best plan for using office equipment, administrative help and IT services. Lakeville Suites provides you with the meeting space and work room space without having to pay for the additional square footage. Overall Lakeville Executive Suites saves you money and makes your business professional. What are you waiting for? Sign up today! There are loads of things to consider in the field of business especially organising conference without offices availability.But not anymore now for there are tons of Executive Office Suites available in any town.Whether you're seeking the flexibility of several executive suites with prestigious addresses or opening a branch office with an eye toward securing office space at a fraction of the cost of a conventional office, just trust it with business suites and they'll make it quick and easy for you. The blog is very informative. Thanks! Imagining the business without any specific location will diminish the prestige of any business. So, it becomes necessary to have a specific location for the success of the business. An exquisite location will not only help in reducing the cost of production, but, it will utilize the prestigious address for the business. There are numerous companies available who are providing executive office space, which is a perfect solution for today’s global business environment. Thanks a lot for this infoemative blog,It was very useful to me and I too researched a bit further about it on web .I also found one company named Yesworkspaces that provides low-cost, high-value office space,a on rent in downtown Miami.YESWORKSPACES supplies entrepreneurs, small business owners and corporations alike with furnished and Executive Office Suites, meeting rooms, video conference studios, business lounge and an array of corporate solutions customized to fit the needs of the most discriminating businesses, large and small.